Governor Carney (at right) joined officials and students to plant a hawthorn tree at the St. Jones Reserve for Arbor Day. 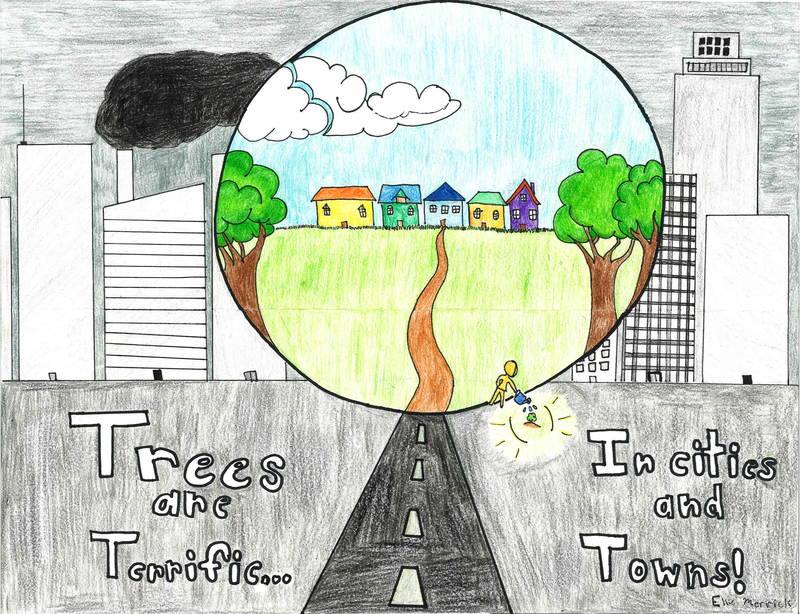 Ellie Merrick, a 5th-grader at Southern Delaware School of Arts, won the Delaware Forest Service’s Arbor Day Poster Contest. Each year, Delaware celebrates the last Friday in April as “Arbor Day,” an occasion to plant trees and spotlight the numerous natural benefits that trees provide. Established by J. Sterling Morton in Nebraska on April 10, 1872, it is estimated that one million trees were planted on the very first Arbor Day. Arbor Day observances are also an integral part of community recognition programs such as Tree Campus USA, Tree City USA, and Delaware’s Tree Friendly Community Award, as well as qualifying for a financial award from the Urban Grant Program. 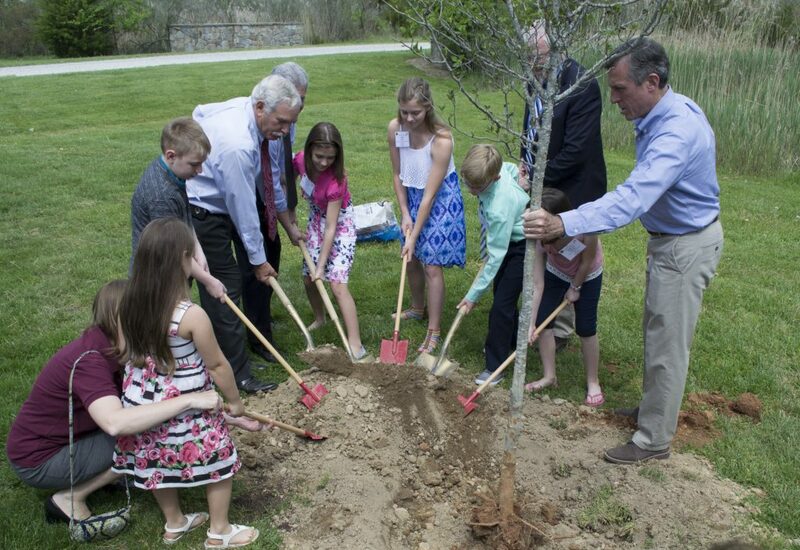 In 2018, Governor John C. Carney, Jr. joined state representatives, cabinet secretaries, students, teachers, and invited guests for the Delaware Arbor Day Celebration at St. Jones Reserve in Dover on Friday, May 4. Governor Carney honored the winners of the Delaware Forest Service’s Arbor Day School Poster Contest, including Statewide Winner Amelia Meyer of Southern Delaware School of the Arts in Selbyville. The 2018 poster contest theme was “Trees are Terrific… and Perfect for Pollinators!” The Governor also honored representatives from some of Delaware’s 17 Tree City USA communities. This year’s ceremony will be held in Dover on Friday, April 26 to commemorate the City of Dover’s 30th Anniversary as a Delaware Tree City USA. 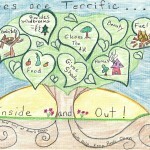 Winners of the Delaware Forest Service’s annual Arbor Day School Poster Contest will also be recognized. Additional photos of the event can be found at the Delaware Forest Service’s Facebook page: http://www.facebook.com/delforestservice. The Delaware Forest Service also sponsors an annual Arbor Day School Poster Contest for Delaware schoolchildren in grades K to 5 for all public, private, home, and charter schools.